On 21 October 2018, a passenger train derailed in Yilan County, Taiwan, killing 18 people and injuring 187. It was Taiwan's worst rail accident since a collision near Miaoli in 1991 which killed 30 people. At 16:50 local time (UTC+8), a Puyuma express train, service 6432 from Shulin bound for Taitung, derailed on a curve with a radius of 300 metres (980 ft) when passing through the Xinma station in Yilan County, about 70 kilometres (43 mi) from Taipei. There were 366 passengers travelling on the train. Of the eight carriages, numbers 3 through 8 toppled over and collided into each other in a "W" shape, while the rest went off the track with lesser damage. The front car was seen tipped over at an angle of 75 degrees, and most of the fatalities are believed to have been in this car. Survivor accounts claimed that the driver applied the emergency brake multiple times before the incident, and another claimed that the train sped up after the curve. All trains in the eastern trunk line were halted in both directions, with replacement bus services provided. Hundreds of medics and firefighters, and 100 army troops responded to the scene. As of 21:35 local time all passengers, including the dead, had been removed/evacuated from the wreckage. The derailment is the worst train accident in Taiwan since 1991, when 30 people were killed in a collision near Miaoli [zh]. At least 18 people were killed in the accident, with another 187 injured, all on board. According to reports, one of the injured was a United States citizen. Six of the dead reportedly were under the age of 18. Taiwan's Railway Authority confirmed that 8 of the dead were of the same family, and the Health Ministry confirmed that 53 injured remained in the hospital. The train involved in the accident was built by the Japanese company Nippon Sharyo in 2011, and underwent major maintenance work in 2017. According to a press release from the Taiwan Railways Administration (TRA) on 21 October, the cause of the accident is as yet unknown. On 22 October 2018, it was reported that the driver of the train reported an issue with the main air compressor just before the derailment. The Chief Secretary of Taiwan Railways Administration, Chu Lai-shun, said that a full failure of the main air compressor would cause insufficient power and problems with deceleration, and should not cause a derailment. In addition, the train's automatic train protection (ATP) was disabled shortly before the derailment, which, according to the driver was because of an earlier fault which delayed the train. Prosecutors accused him of negligence for not turning it on again afterwards. Investigators think that without ATP, the train's speed was not properly monitored, which led to the train approaching the curve at a speed of 140 km/h (87 mph), almost twice the speed limit. As part of the investigation, all 18 other Puyama trains in service on Taiwanese railways were thoroughly inspected. No fault was found. Nevertheless, a report by Chinese-language Apple Daily Sunday found that Taiwanese trains were experiencing problems with the ATP system, citing anonymous sources from within the TRA. As the investigation progressed, technical flaws with the connection of the train's protection system to the signalling centre were found with the Puyama trains, and Japanese manufacturer Nippon Sharyo promised the Taiwanese government it would fix the flaw by the 11 November, with testing and certification expected to take a month. The driver of the train was granted bail of NT$500,000 (US$16,167) on 23 October, after he had been detained for investigation. President Tsai Ing-wen called the accident a "major tragedy" and directed the government and military to "step up" rescue efforts. The President also called for an investigation into the crash, that would "make clear the timing and situation of the whole accident". In addition, "drastic reform of the TRA to restore public confidence in the safety of railway transportation" is to be carried out. As a result of the incident, the Democratic Progressive Party and Kuomintang halted campaigning for the November local elections. The Taipei Blood Donation Centre issued a press release that highlighted local blood donation centres and urged blood donors to donate. President Tsai met with relatives of the dead and injured on 22 October. She joined Buddhist monks in prayer at an altar next to the hospital. 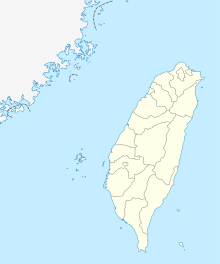 ^ a b c d e f "Taiwan train derailment in Yilan County kills at least 18". BBC News. 21 October 2018. Retrieved 21 October 2018. ^ "臺灣鐵路東部幹線對號快車時刻表 Eastern Mainline Line 樹林→台東 [Shulin→Taitung]" (PDF). Taiwan Railways Administration. ^ 聯合新聞網. "不斷更新／普悠瑪列車翻覆意外8節全出軌 18死逾百人傷 - 普悠瑪翻車意外 - 社會 - 聯合新聞網". Retrieved 21 October 2018. ^ a b c Central News Agency (21 October 2018). "Puyuma Express train derailed in Yilan, killing at least 18, injured over 100. (Chinese)". Retrieved 21 October 2018. ^ "UPDATE: Taiwan East Coast Rail Crash in Yilan Kills 17, Injures 120" (in Chinese). Retrieved 21 October 2018. ^ a b c "At least 18 dead after train derailed in Taiwan's worst rail disaster in decades". The Straits Times. 21 October 2018. Retrieved 21 October 2018. ^ a b "Train derailment death toll revised to 18". Focus Taiwan. 21 October 2018. Retrieved 21 October 2018. ^ "Train derails in Taiwan, killing 17 people and injuring at least 132". ^ a b "Taiwan rail crash kills 18 as train flips". The Daily Telegraph. 21 October 2018. Retrieved 21 October 2018. ^ a b Jennings, Ralph (22 October 2018). "Taiwan's President Calls for Probe of Fatal Train Crash". Time. Retrieved 22 October 2018. ^ "UPDATE: Taiwan East Coast Rail Crash in Yilan Kills 18, Injures 148". The News Lens. 21 October 2018. Retrieved 21 October 2018. ^ hermes (22 October 2018). "Frantic search for survivors in Taiwan train disaster". The Straits Times. Retrieved 22 October 2018. ^ "Passengers on derailed Taiwan train tell of narrow escape". Channel NewsAsia. Retrieved 22 October 2018. ^ a b Foundation, Thomson Reuters. ""Why?" asks Taiwan mourner after 18 killed in crash of speeding train". news.trust.org. Retrieved 22 October 2018. ^ hermes (23 October 2018). "Eight family members among 18 killed in rail crash in Taiwan". The Straits Times. Retrieved 23 October 2018. ^ "台灣鐵路「近30年最慘」翻車意外 事故原因調查中". BBC News Chinese (in Chinese). 21 October 2018. Retrieved 21 October 2018. ^ News, Taiwan. "ATPS disabled before deadly Puyuma Expre... | Taiwan News". Taiwan News. Retrieved 22 October 2018. ^ "Train crash driver disabled speed controls". BBC News. 23 October 2018. Retrieved 23 October 2018. ^ a b Chen Wei-ting; Wu Hsin-yun; Su Mu-chun; Shih Hsiu-chuan. "Safety checks show no safety defects on Puyuma trains: TRA | Society | FOCUS TAIWAN - CNA ENGLISH NEWS". Focus Taiwan. Retrieved 28 October 2018. ^ "Japanese maker of train in deadly Taiwan crash finds design flaw". FijiTimes. Retrieved 11 November 2018. ^ Strong, Matthew (8 November 2018). "Japanese manufacturer to fix design flaw in Taiwan Puyuma trains by November 11". Taiwan News. Retrieved 11 November 2018. ^ "Taiwan driver granted bail after 18 killed in train crash". Channel NewsAsia. Retrieved 25 October 2018. ^ "蔡英文 Tsai Ing-wen on Twitter". Twitter. Retrieved 21 October 2018. ^ News, Taiwan. "Blood donations urged after deadly train dera... | Taiwan News". Taiwan News. Retrieved 22 October 2018.